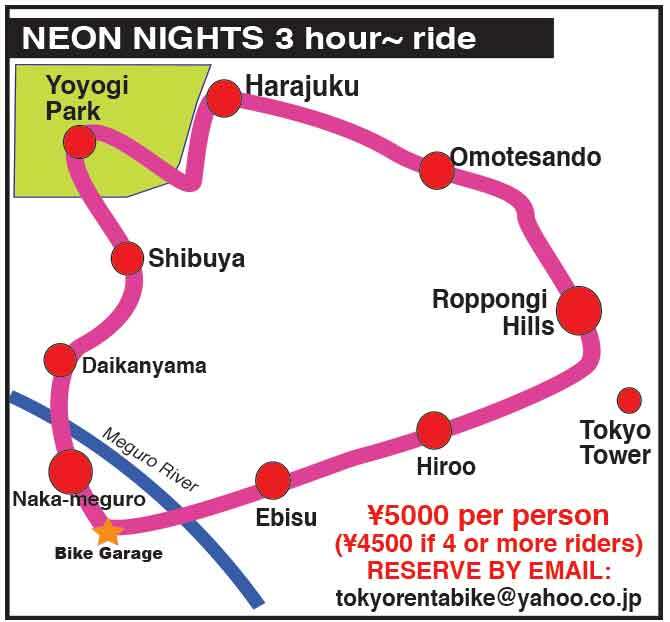 TOKYO BICYCLE TOUR: Neon Nights 3.5 hour Night Time Bike Ride of Central Tokyo! 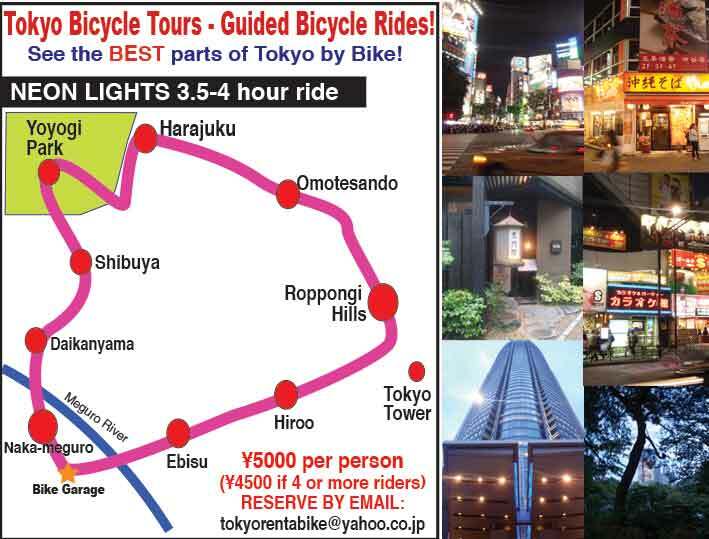 This fun night bike tour goes through some of Tokyo's most Neon lit areas after the sun goes down allowing riders to see the best parts of Tokyo when they are lit up. It is much cooler in the evening, so it makes for pleasant riding - and most neighborhoods become quieter, with generally less pedestrians about, so it's less hectic and safe. This ride is suitable for families with children over 10 years old. All bikes have front and rear lights! •A massive complex of offices with a view of Tokyo Tower! 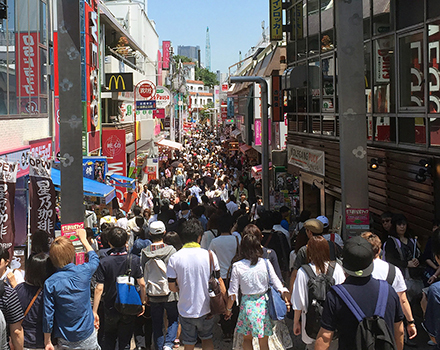 •The Ride returns through the Hiroo station neighborhood. •Then through Ebisu and finally back to garage start point. Ride Available if minimum of 2 riders are signed up! Email to: tokyorentabike@yahoo.co.jp for reservations at least 1 day in advance. Call: 090-3209-9996 for info/questions. English OK! 1) The date you would like to join the tour. 2) How many people in your group, and whether male or female. 3) The approximate height of each rider (in centimeters or feet). 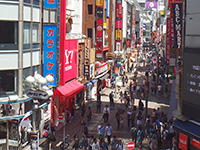 4) Station area you will be staying in Tokyo. The starting point for the ride is from our bike garage, 7 minutes from Naka-Meguro Station. It is the last station on the Hibiya Subway line.